Let me be the first to say that I am not a fan of math. In fact, I loathed it during my middle & high school years. But a couple of my friends introduced me to 2048, the newest number game by Gabriele Cirulli. The goal of the game is to add up the even numbers on the 4×4 grid to 2048, without the grid filling up with numbers. Sounds easy right? Nope. Each game starts with two low numbered tiles (usually 2 or 4). The only way to form higher numbered tiles is by combining two tiles of the same number. But when you shift one tile in any direction, all of the other tiles move in that direction as well. 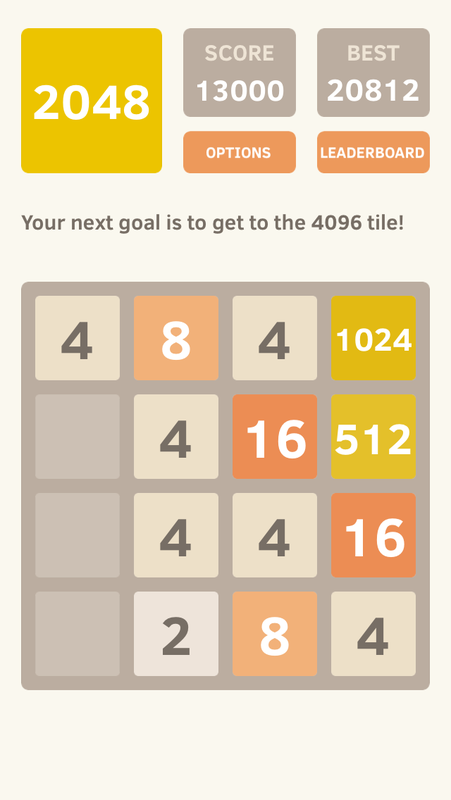 This game mechanic makes it all the more challenging for players to achieve the goal of 2048. 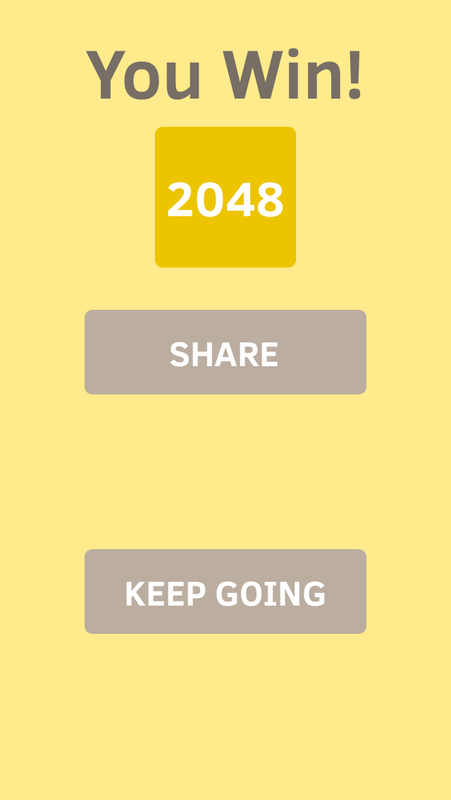 But say you do happen to get the 2048 tile and win the game…it’s all over after that, right? WRONG! The beauty of this game is that it challenges players past its namesake. Once you get 2048 and restart the game, your goal now is to make the 4096 tile. Then if you get 4096, double it, and that becomes your new goal. This process goes on for as long as you want it to. The number will only get higher, and the challenge will be even greater. It did take me a while to reach 2048 and I admit that I’m having trouble trying to reach 4096. In closing, I would like to say that 2048 is a great puzzler. I mostly play shooting games, but this is a good break from all of the guns, blood, and over-glorified warfare. I do like how this game continues to challenge players even after they reach their goal, which makes them want to come back and solve the puzzle. 2048 is available to play for free on its own site and available for free on both the App Store and Google Play Store. This game gets a solid 8 out of 1o.